Creatine may be considered the gold standard supplement for athletes and recreational lifters, based on its scientifically proven effects on strength, power and lean muscle tissue. 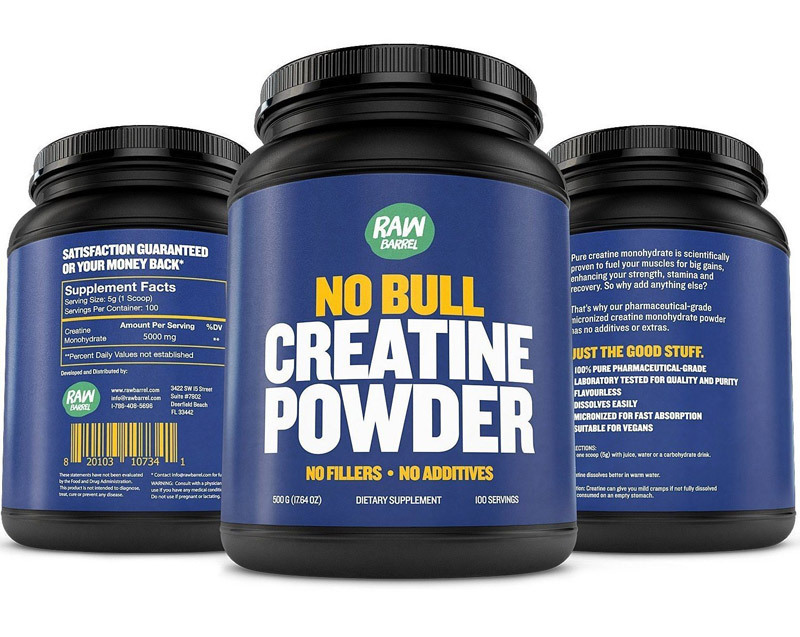 Creatine is a nitrogen-containing organic compound naturally produced in the human body, predominantly in the liver, but also in smaller amounts in the kidneys and pancreas. It’s produced in the body using the amino acids glycine, arginine and methionine at a rate of about 1-2g per day. Approximately 98% of creatine is stored within skeletal muscle, with the remaining 2% in the heart, brain and testes. Creatine can also be obtained through diet, with the average person consuming around 1g per day through sources such as fish and meat. Increasing dietary availability of creatine serves to increase intramuscular storage of Creatine Phosphate (CP), and as you’ll find out this could be a pretty big deal! Creatine, in the form of CP has an extremely important role in the production of energy for short-duration high-intensity exercise. Short of giving a science lesson; CP is used as a substrate for the formation of adenosine triphosphate (ATP) by re-phosphorylating adenosine diphosphate (ADP). In short, if ADP can be converted quicker and more efficiently in to ATP either through the body’s natural sources of CP or by supplementing with Creatine; more energy would become available for intense exercise! Theoretically, by supplementing with creatine, intramuscular stores of CP could be increased or ‘topped-up’ thereby feeding the phosphagen/alactic energy system leading to enhanced performance! According to a position statement released by the International Society of Sports Nutrition (Buford et al. 2007); creatine is the most effective ergogenic nutritional supplement that’s currently available to athletes to increase high-intensity exercise capacity and muscle mass during training. There are currently around 500 peer-reviewed research papers examining the effects of creatine supplementation on exercise. Of those papers around 70% have concluded that creatine supplementation is effective at producing increases in high-intensity exercise performance, including interval training, sprints, and strength and power exercise. From controlled lab studies results have shown that creatine supplementation appears to improve average sprint time and resistance to fatigue during repeated sprints of around 30 seconds. However, over single sprints the results are less conclusive. The effects on longer duration exercise over 90 seconds is also inconclusive, although not surprising since CP has little influence on the body’s aerobic energy systems. Short-term creatine ingestion (i.e., typically less than a week of use) has shown performance-enhancing effects on sprint cycling power as well as resistance exercise, including total amount of work and repetitions performed during the bench press and back squat. So… good for lifters, sprinters and intermittent sport athletes, but it probably won’t knock minutes off your next marathon! Many of us train for a specific purpose, and although for some; gains in muscular strength, power and overall athleticism could be considered enough; increases in lean mass, muscle size and achieving an ideal physique is often the main goal. And luckily for you… long-term creatine supplementation has been shown to increase these qualities! Specifically, over several months of hard training research subjects have experienced gains in up to twice the lean mass of subjects ingesting a placebo supplement. In essence the subjects of these various studies experienced TWICE THE GAINS IN MUSCLE MASS WHILST USING IT, versus subjects that weren’t! In one study a twelve week resistance training programme combined with creatine supplementation produced an increase in muscle fibre diameter by 35% in both Type I and II muscle fibres versus only 6–15% in a placebo group (Volek et al. 1999). Gains in lean muscle mass from creatine supplementation appear to be as a result of an improved ability to perform resistance exercise at a higher intensity for longer. It can also produce muscle cell swelling; cellular swelling has recently been shown to be a potent stimulus for muscle hypertrophy. This is how often you use it and when. 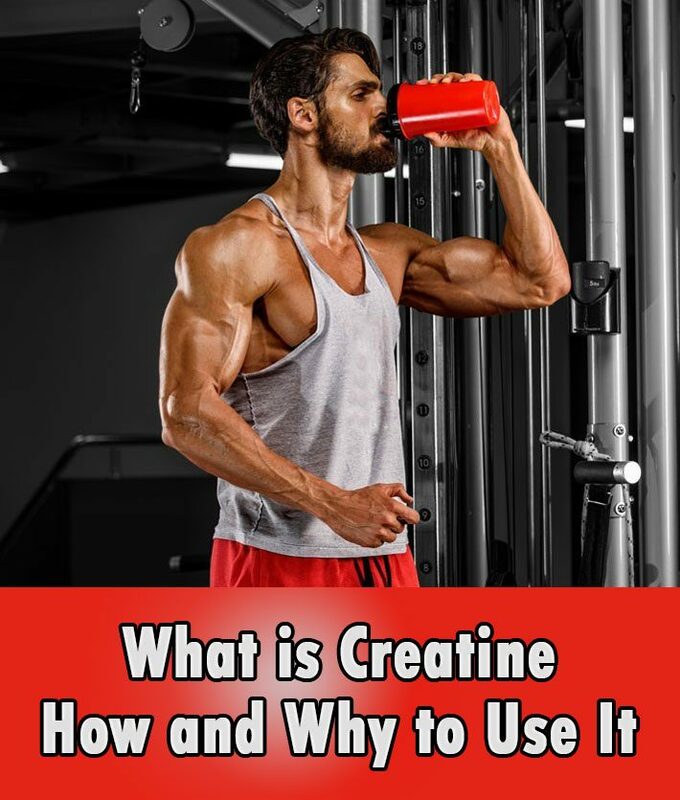 When using creatine, particularly creatine monohydrate, a ‘loading’ phase is often recommended consisting of 20g per day spread out over 4 servings, ideally at meal times. This would usually last for 5 days, followed by a ‘maintenance’ phase of 4-10g daily. Alternatively a small amount of research has shown that a loading phase may not be necessary, and just consuming 4-10g daily will achieve the desired results. The best times of day to supplement with creatine would be around 30 minutes before your training session and immediately after as part of your post-workout shake or meal. This is the recommended optimal dose. 20g per day during a 5 day loading phase split in to 4 x 5g servings, backing down to 4-10g per day as a maintenance dose split in to 2 x 2-5g servings. Or just 4-10g per day (2 x 2-5g servings) if you choose not to complete a loading phase. Additional note: You should always read the recommended serving size on the packet to provide you with a guideline. These are other nutrients, such as supplements or macronutrients that may enhance the effects or absorbsion of another supplement. It’s recommended that creatine should be consumed with ‘fast-acting’ high glycaemic carbohydrates in order to maximise its absorbsion. For example a combination dextrose, waxy maize starch or maltodextrin. The amino acid Glycine has also been shown to increase the absorbsion of creatine. Additionally, of note combining creatine with arginine has demonstrated some impressive results in recent research, and would make an ideal pre-workout cocktail! Many supplements come in different forms, and creatine among them. 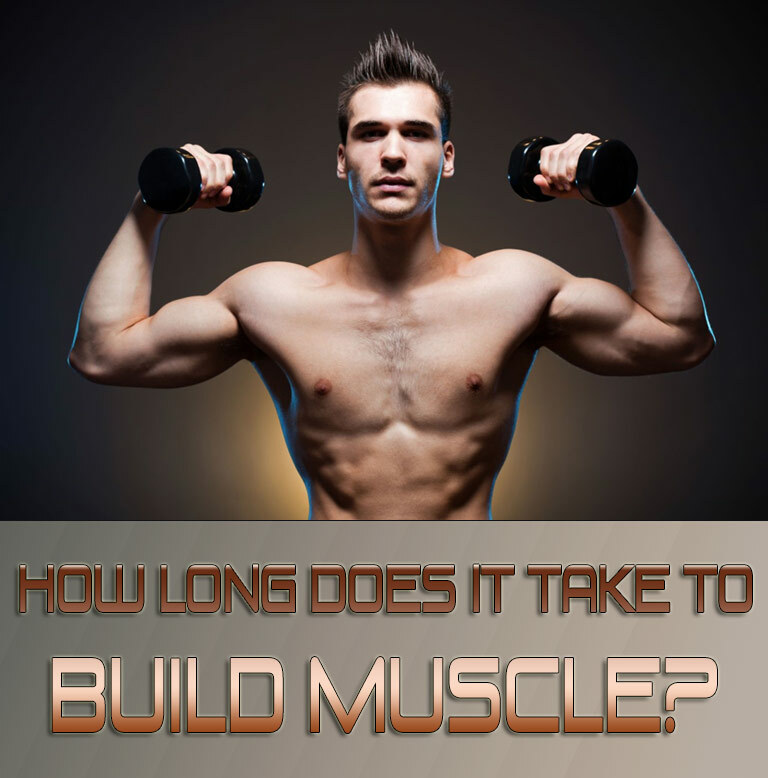 The most proven comes in the form of Creatine Monohydrate. However newer forms of creatine have also emerged on the market with various advantages, including: Kre-Alkalyn, Creatine Ethyl Ester, Creatine Gluconate, Effervescent Creatine and Creatine Malate. The moral of the story is to find the one that gives you the best results. 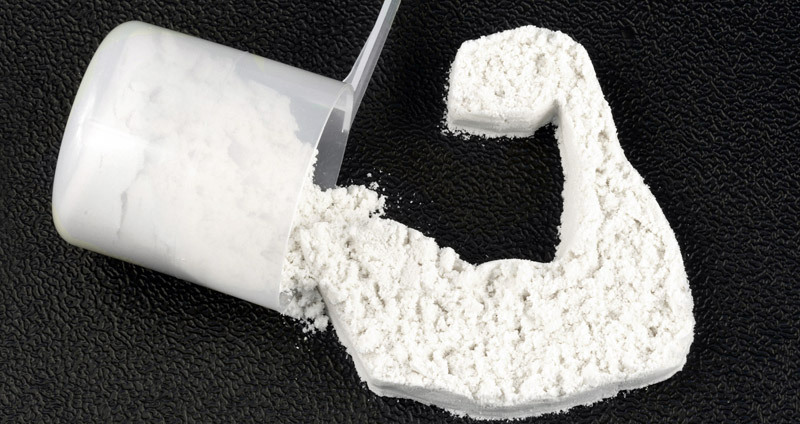 Creatine supplementation has had no serious side-effects reported within research. However there have been a host of reports from users of gastrointestinal discomfort, and muscular problems including mild cramps. Bloating and water retention have also been reported by some. Controlled studies have been unable to document any significant side-effects or safety issues for extended periods of use lasting up to 12 weeks. Many users do choose to cycle their use of creatine (e.g., 6 weeks on, 6 weeks off), however there are no reports that cycling creatine is more beneficial than consistent use. Increases in lean body mass have sometimes been referred to as “unwanted” side effects, but many would consider this what they desired it for in the first place! 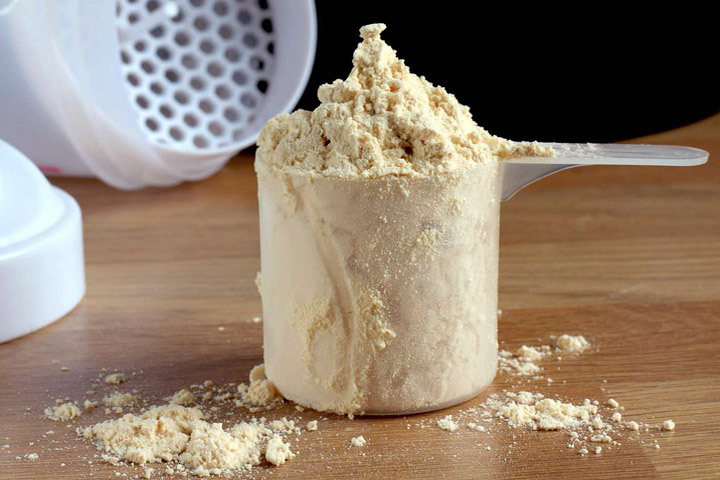 Creatine has been suggested as the gold standard for which other supplements should be weighed against, both for its effects on exercise performance and body composition. If optimising your time spent training is in your list of to-dos, and you are looking to maximise your results then creatine use is highly research-proven and recommended!